Posted December 4th, 2012 by Tim Groeneveld & filed under PHP. I am writing this blog article to you on the new WordPress 3.5. The updates since 3.4 are really nice. 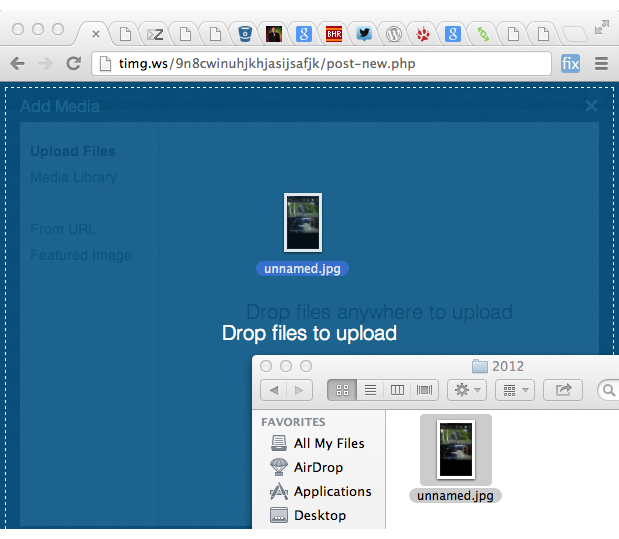 I am especially enjoying the new media manager, with it’s easy to use ‘Drop files anywhere to upload’ screen. According to their Trac install, there is only six issues left to fix before they release the new update for everyone to consume. See the remaining issues in the development version of WordPress, or try the WordPress Beta Tester plugin to test the very latest (trunk) WordPress right now.